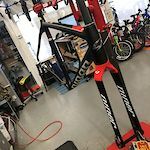 2014 Specialized SWorks Venge Frame sz 58. Fluro yellow/ blue. Beautiful frame. Built now but Im going to part it out, Im the original owner with all original paperwork and frame accessories, pristine condition. approx 6k miles. 2010 Fisher Cronus Ultimate frame, Im original owner, made by trek, same warranty as trek. Beautiful frame, approx 5k miles. For Sale: 2010 Cervelo R5ca Frame and fork. Original and in perfect condition. Never built. Thank you for looking. We have a 2015 BSB9 frame and fork that needs a home. Brand new, never been built. Disc brake, through axle front, standard QR rear. Full carbon frame and fork. 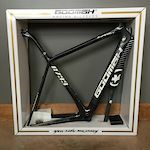 Very competitive Cyclocross frame. This retails for $2299. Thanks!